MB RECASTER FREE is a completely free program that allows you to stream audio from the computer or sound card. It is an ideal replacement solutions based on Winamp, Edcast or other paid software and less powerful and stable. Do you want to try MB Recaster? Do you want fantastic functions? 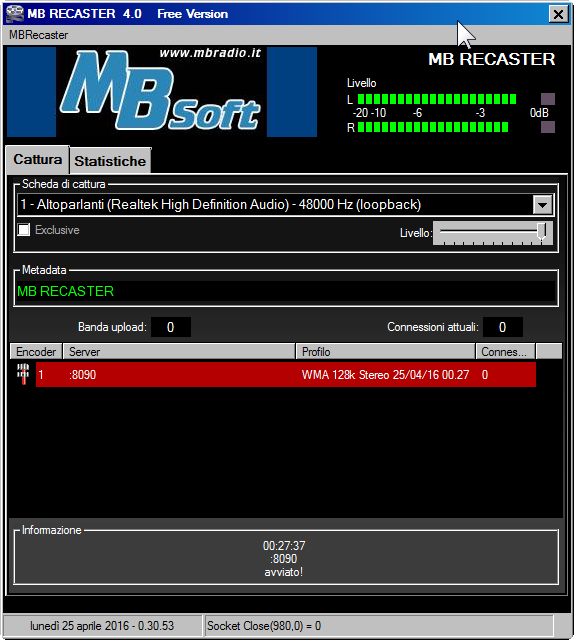 With MB Recaster PRO you can have a complete software registration and encoding for streaming.